The American-Israel Public Affairs Committee, or AIPAC, is one of the largest and richest lobbyist groups in the nation. As a result, it is arguably one of the loudest voices when it comes to crafting foreign policy in the Middle East. According to Mother Jones, an independent magazine, the group contributed $22 million in the 2008 election to candidates, and the organization itself boasts that the only event capable of attracting more members of Congress than an AIPAC conference is the State of the Union. To hold AIPAC accountable for its detrimental contributions to the international community and more specifically, the Palestinians who suffer as a result, my friend Sara and I went to Washington, D.C., the weekend of Mar. 2 to the Occupy AIPAC event. We emphasized a few key points that we wanted attendees, speakers and supporters of AIPAC 2012 to fully digest. This included that waging war on Iran is not a peaceful, thoughtful solution to diplomatic tensions over the development of nuclear energy. We also stressed that pumping funds into a single organization that controls most of Congress like a puppet thwarts the organic fluidity of democracy and paints a false portrait of what people from the United States want in foreign policy. The last main point we raised was that maintaining an apartheid system over Palestine — one that segregates, legally and culturally (and even illegally, too), Palestinians from those privileged with Israeli citizenship — is a discriminatory practice that encourages violent resistance, perpetuates poverty and de-humanizes an entire population of people. During our weekend spent in D.C., we successfully occupied AIPAC. People lining up outside the convention center could not have missed our loud statements and enthusiastic participants. Unfortunately, many people continue to think that protesting the deplorable reality of U.S.-Israeli military relations is “anti-Semitic.” In reality, resisting war crimes and racist institutions is not the same thing as systematically discriminating against a group of people because of their faith and community. We even had a number of very active Jewish participants present, including leaders of Jewish Voices for Peace. In fact, one young Jewish college student infiltrated the conference and stood up in the middle of an AIPAC meeting, declaring Israeli settlements an obstacle to peace and yelling that she “will not be silent.” She was inspiring, and encouraged me to think about why I was there and what was important about occupying AIPAC. I am a U.S. citizen who pays tax dollars, which means I partially fund the Israeli occupation of Palestine. The United States continues to write Israel blank checks for war, violations of international law and “security” in its “right” to “self-defense.” This nonsensical militarized discourse stunts critical thinking and convinces the majority of Americans that Israel is unequivocally morally correct in its decisions to withhold basic rights for Palestinians. I am standing up with my fellow Americans who are disgusted with this excuse for foreign policy and direct contribution to institutionalized racism. It’s time we start demanding a more peaceful, internationally legal, ethically sound, financially viable approach to a conflict in which we have historically and dramatically left our mark. This is just step one of the process. Israel and the United States continue to employ questionable military and diplomatic tactics, and they must be held accountable for their actions. I hope you join me in learning other ways to occupy AIPAC and unoccupy Palestine. 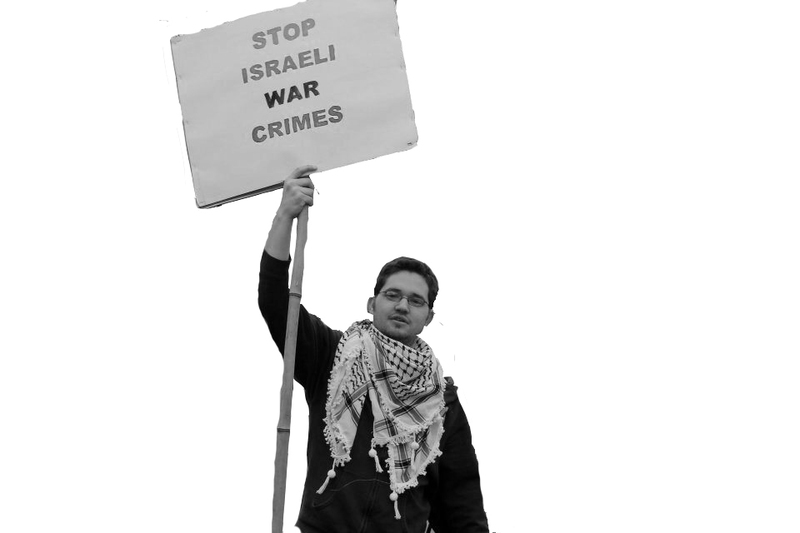 Chris Zivalich is a senior journalism major who won’t pay another dime for Israeli crimes. Email him at czivali1[at]ithaca[dot]edu.